Pianist Hugh Sung has been an active soloist and chamber musician ever since his debut with The Philadelphia Orchestra at the age of 11. Two years later, he was accepted for studies at the Curtis Institute of Music, where his principal teachers included Eleanor Sokoloff, Jorge Bolet, and Seymour Lipkin, along with Karen Tuttle and Felix Galimir for chamber music. Throughout his studies and subsequent to graduating with a Bachelor of Music, Sung has performed in major cities throughout the United States, England, Canada, Central America, South America, Japan, and Korea. Mr. Sung has been presented at some of the world\’s most prestigious venues including Carnegie Hall, Weill Hall, Wigmore Hall, The National Gallery of Art, and The Ravinia Festival. 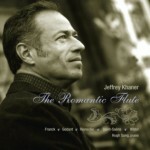 He has made several guest appearances at radio stations in New York City, Rochester, Philadelphia, and New Zealand, and was featured on NPR’s nationally syndicated “Performance Today” performing works by Clementi, Ravel, and Mussorgksy. His concerto engagements have included performances with the Concerto Soloists Chamber Orchestra of Philadelphia, annual appearances with the Masterworks Festival Orchestras since 1998, and extensive tours with the South Jersey Symphony Orchestra. Most recently, he was presented on Japanese National Television NHK in collaboration with violinist Aaron Rosand during a recital in the Ouji Hall in Tokyo. In addition to his solo endeavors, Sung continues to receive critical acclaim for his work as an ensemble musician. 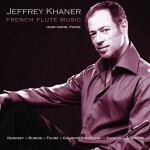 He has been featured in the Philadelphia Orchestra’s Chamber Music series, and has also collaborated with such distinguished groups and artists as The American Quartet, the Diaz Trio, Jeffrey Khaner, Julius Baker, Hilary Hahn, Leila Josefowicz, composers Jennifer Higdon, Robert Maggio, Harold Boatrite, and violinist Aaron Rosand, with whom he has recorded extensively under the Biddulph and Vox labels. 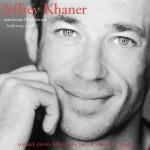 His work can also be heard under the I Virtuosi, CRI, and Avie labels. 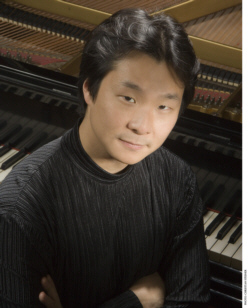 In 1993, Sung joined the faculty of the Curtis Institute of Music, and currently serves as its Director of Instrumental Accompaniment and its Student Recitals Series. Sung maintains an active website (www.HughSung.com) which combines his love of music and passion for technology, and serves as a resource for musicians looking for a friendly place to learn more about adopting technology to enhance their art and lifestyle. He is an early adopter of technologies like the Tablet PC, which has enabled him to convert his paper music library into a digital format, and innovative new performance presentations like the Visual Recital, which combines images, animation, and video clips in a live recital setting fully synchronized and controlled by the musician. Sample music and video clips can be found both on his website and on his profile at MySpace.com (www.myspace.com/hughsung).